While I can appreciate the sounds from a secluded lake, there is nothing like the sound of a thunderstorm rolling in. For the past few days I’ve been in rainy day heaven. There is nothing like snuggling up in bed and listening to a thunderstorm while you read poetry. Of course it would be better if someone was reading you the poetry although the thunder in the “Rolling Thunder” CD is so realistic, it will keep your full attention. You can hear each droplet of rain hitting the parched earth. The storm brews slowly, then the wind starts to blow and finally birds chirp and the thunder gets louder and louder as if the storm is rolling across the sky. Spectacular! The best I’ve heard so far and well worth the price of the entire set. Of course my cats fell soundly asleep to it and once you get used to it, you can eventually enjoy it late at night as you fall asleep. “Morning in the Mountains” is perfect for a time when you want to listen to a cool mountain stream cascading down the mountainside. “Secluded Lake” is much more restful and you can hear the cry of a loon as it echoes off the alpine shores. The sounds on this CD were recorded from sunrise to sunset. “Ocean Shore” is mostly rolling surf and a few seagulls. You really need to dig your toes into some sand while listening. ;) It will inspire a trip to the beach. “Bird Sanctuary” is a symphony of birds serenading one another. “African Rainforest” was actually quite comical in places once the gorillas and monkeys have their say about it all. Exotic birds, insects and a tropical rainfall makes this the most unique recording in the set. “Humpback Whale Serenade” is an interesting conversation between whales to the background of a soothing sea and rolling surf. The haunting echoes seem to surround you if you imagine yourself at the bottom of the sea. Truly the best recording I have heard to date. “Pine Forest” is filled with life. All you need is the scent of pine to complete the experience. “The Deep Woods” has a chorus of birds mixed in with cooing doves. If you think about it, the harmonizing is rather amazing. These are the sounds you would hear if you were on a long hike and got to the place in a woods where you imagined no man had been before. This was my least favorite as there was a sound that I could not quite identify. The first 9 CDs would be perfect for Massage Therapy, a quiet moment, calming background for writing, or just a complete nature escape. Each one of these recordings is clear and realistic except I was not happy with “The Deep Woods” for various reasons. I’d pay $20 just for the “Rolling Thunder” CD because it is that good, so getting 8 additional CDs that I love almost as much was a great deal for the price. Think of this set as being 9 CDs and you will be very happy with this collection. You might imagine scenes of waves to become monotonous. Instead, it is mesmerizing. Relaxing music invites you into a tranquil existence. 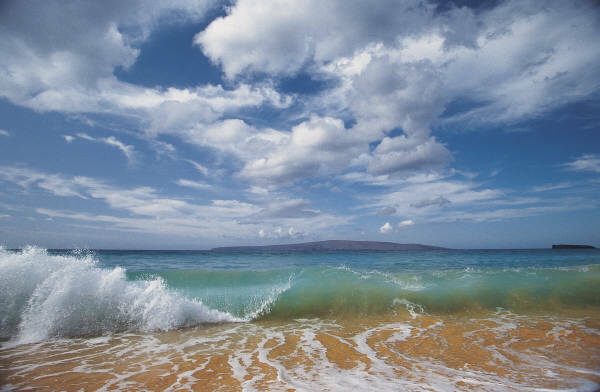 Waves are shown from numerous angles and all the locations have a pristine beauty. At times the music stops playing so you can focus more attention on the sound of crashing waves. 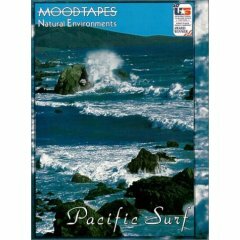 Moodtapes are perfect for late evening viewing as they put you into a peaceful state of mind. Thinking about Maine makes me wonder about two of my best friends in the world and what their lives were like growing up in this beautiful area. Now and then they tell me about the winters or school life, but now I have pictures to go with the stories. 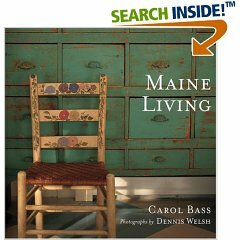 The pictures are gorgeous and are authentic representations of the Maine lifestyle and culture. Throughout the book, advice is given on how to bring the feeling of Maine into your home. You may want to paint a picnic table or cook up a fish chowder. I found a quilt that has a very cozy Maine feeling to it and they suggested I put more red cushions in the living room. General stores are also a feature and Carol Bass shows you which flowers to plant to give your garden added beauty. I just know that one day I won't have to keep dreaming about a trip to Maine, I'll be there at a bed and breakfast where the breeze blows curtains through an open window, wandering down country roads and maybe even writing a poem while overlooking the water. The Blueberry Hill Farm Bed & Breakfast looks fascinating to visit in the late summer or early autumn. "Sixty thousand fun-loving visitors had up to Unity each fall to reconnect with rural living, to join in this feast for the senses, and to participate in a down-home celebration of the season's harvests: organic apples and squash, sunflowers and late-blooming perennials, fresh berry pies, homemade honeys and jams, and the best cottage cheese and goat's cheese this side of heaven." The Sony extension cord for headphones works especially well and makes my husband happy when I'm watching movies late at night. This works with my computer, DVD player and stereo. 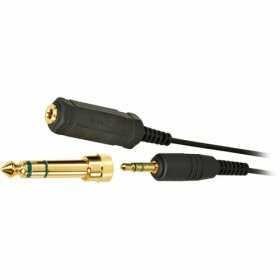 This cord also works with the AKG headphones and the K240 version makes everything sound amazing. The cord is lightweight and the nine feet extension makes it much easier to enjoy music a little further from the source. Now I can sit on the other side of the room and watch a movie on my computer or enjoy late night movies without disturbing my husband. Clear crisp notes dipped in acoustic perfection. 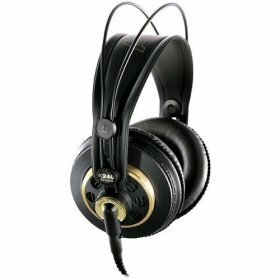 Listening to music on the AKG Acoustics Semi-Open Headphones is like falling in love for the first time. You may start to feel breathless as notes wash across soundscapes unveiled in moments of sheer amazement. What beauty these headphones reveal. Every note is placed perfectly in a musical clarity revealing a perfect harmony and depth as sound swells and breaks and takes off in all directions like universes of sound. This is not an exaggeration, but rather an admission of fact. Let's just say that if a friend gave you these, you would love them forever. If headphones can make you feel weak in the knees...THESE WILL. The AKG headphones are also surprisingly comfortable and lightweight.